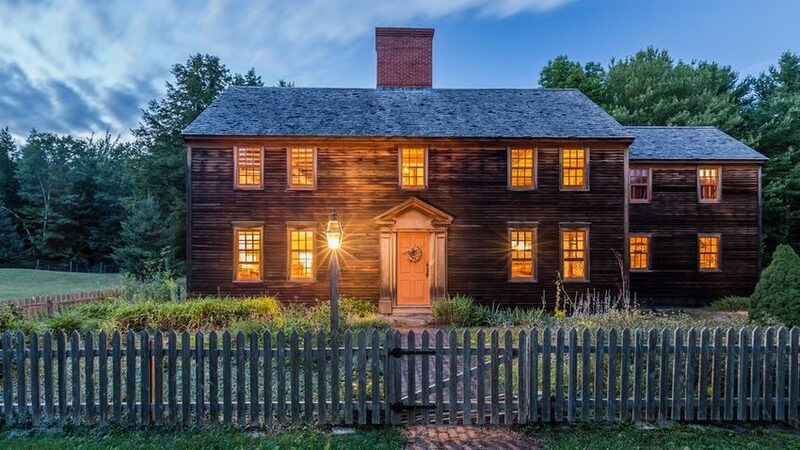 It’s not every day that one comes across a Colonial-era Massachusetts home that’s been dismantled and packed in the cargo hold of an 18-wheeler. Running on blind faith, a couple of brave homeowners bought the salvaged wood house sight unseen and headed north to Maine. Size: 3,898 square feet on 25 acres of land; four bedrooms, two and a half bathrooms. 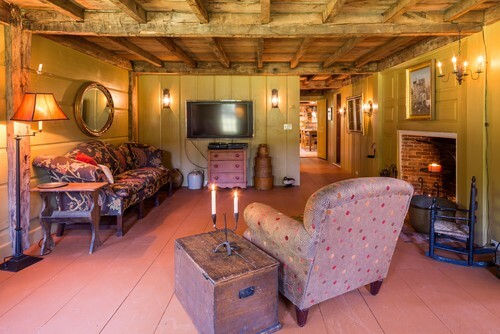 The property also includes a reassembled historic carriage house with a seasonal bathroom and a new barn. 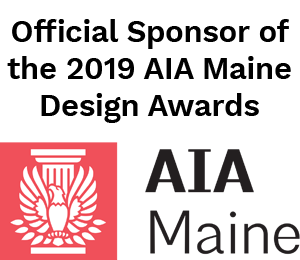 Year built: The home was originally built in 1740 in Boxford, Massachusetts; it was dismantled and reconstructed in Maine in 2001 and 2002. Though the project was an adventurous endeavor, the couple weren’t naive when it came to old homes. They’d previously lived in a 1790s New Jersey house, in which they gained an appreciation of and experience living in a historic structure. 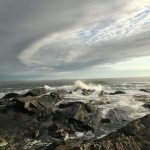 The couple had acquired a 25-acre plot of land in Maine back in the mid-1980s, but it sat undeveloped for more than a decade. Then, in the late 1990s, they learned of a historic home that was already dismantled and packed into a truck in Massachusetts. The couple acted fast and bought the contents of the truck and headed north to Maine. They were uncertain of the exact contents and condition of the salvaged home. They knew the truckload included the house’s “bones” or framework — most of the beams, rafters, some original flooring, and other bits from the house. The homeowners found that each piece was carefully identified, with a numbered metal tag. Luckily, the dismantled home also came with a simple sketch illustrating the historic configuration so it could be accurately reconstructed. The exterior is unfinished red cedar siding applied rough side out, and fastened together using historic reproduction nails. All of the windows throughout the home were custom-built using historic-looking wavy glass. Windows vary from six-over-nine panes to a six-over-six pane configuration, used exclusively upstairs. Custom screens and storm windows were also made. 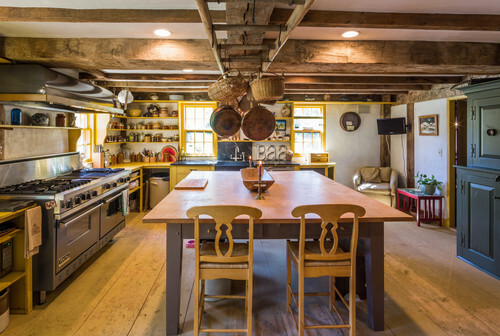 Acting as both designer and general contractor, the couple set out to authentically reconstruct the original structure but also expand upon it using historic salvaged materials. They found various historic oak beams and related structural materials to tie together the old portion of the house with the new additions. The newly added spaces include a large kitchen with a keeping room, which is a Colonial-era space off the kitchen that usually includes a fireplace; a mudroom; and a rear L-shaped addition that houses a master suite. 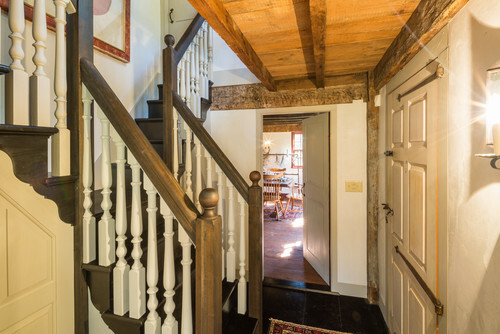 As best as the homeowners could tell, the decorative “good morning” staircase, shown here near the foyer, wasn’t a feature in the original home. But they decided to add it as an additional way to access the upstairs bedrooms — plus, it looks great. Other than this staircase addition, the layout of the original portion of the home remains intact. The dining room sits off the foyer. Bricks for the large central chimney and four fireplaces in the original portion of the home — plus a fifth fireplace added in the new keeping room — were constructed using historic brick, but not brick from the original property. The piece above the firebox came from a deconstructed historic home in Connecticut. Beams, rafters, and wooden ceiling material comprised most of the usable material in the truckload. Everything else used in the home is either a genuine material salvaged from another structure in the same general period, or a new reproduction, such as panel doors and flooring. The dining room’s wood floor, shown here, was salvaged from a church. One of the biggest challenges for the homeowners was resisting the temptation to buy new, less-expensive reproductions instead of finding original historic pieces. Builder Rick Poore of 18th Century Restorations became a vital asset in helping them source genuine historic materials. If he wasn’t able to find something on the market, he re-created it in his workshop. The large center beam in the newly added kitchen came from an 1800s warehouse. The beam height on the main level is seven feet from the floor to the beam’s underside. Upstairs, the clearance is lower, at six and a half feet. Some support issues arose in the new spaces involving beam span and load-bearing requirements necessary for meeting code. So the homeowners sought out engineering expertise to come up with some clever yet efficient ways to deal with loads and avoid having posts in strange places. Off the parlor, the new keeping room serves as the couple’s living room. 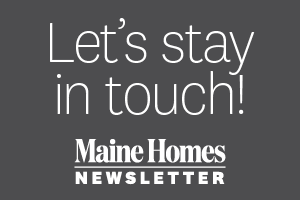 To avoid unsightly heating elements, radiant-heat floors warm the house underfoot. The keeping room’s new fireplace is one of five tied to the home’s central chimney. Is Radiant Heated Flooring Right for You? The color palette for the home is based on historic-color research and the couple’s personal preferences, as well as some trial and error. 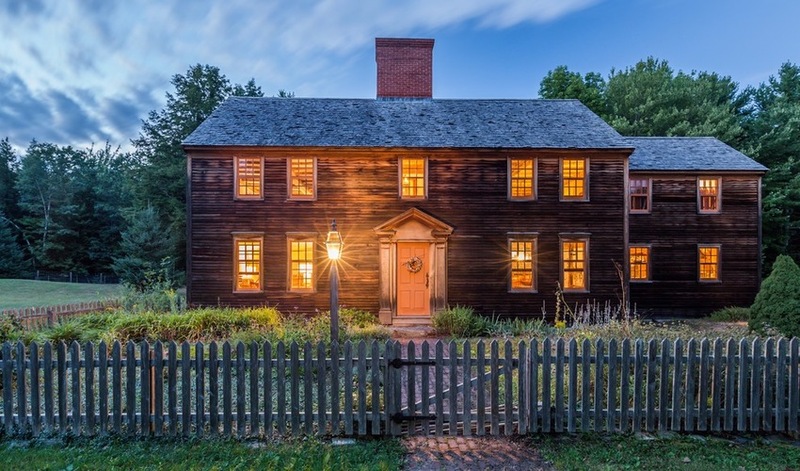 The homeowners’ exploration included referencing old-house books and Colonial Williamsburg’s color collection, and visiting historic sites such as Colonial Williamsburg in Virginia and Old Sturbridge Village in Massachusetts. The paints used throughout are by Pratt & Lambert and Martin-Senour Paints. All the interior walls are either plaster, wood panel, or a combination of plaster and wood panel wainscoting. The wood paneling on the interior walls has a vertical orientation, while on the perimeter wall, it’s laid horizontally. 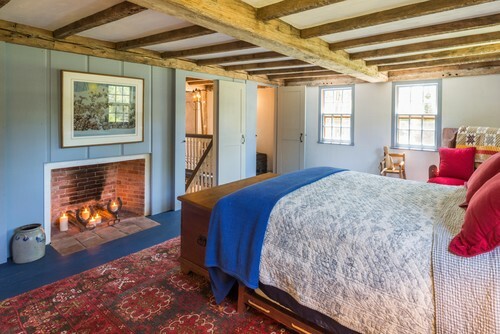 The main-level master suite occupies part of the new L-shaped rear addition, but still uses historic materials sourced by Poore. Salvaged brick forms the fireplace, and because the fireplace is too far away to tie into the home’s central chimney, a new chimney was built to accommodate it. 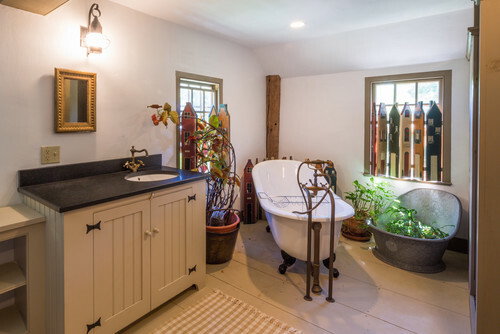 The master bathroom, not without modern-day comforts, has both a cozy claw-foot tub and a stand-up shower. 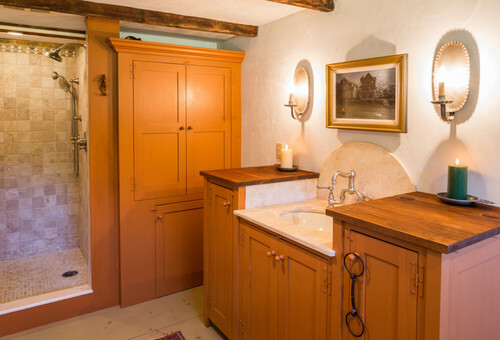 A pumpkin-colored paint finish on the cabinetry casts a soft but cheery glow. This blue guest bedroom is one of the two upstairs bedrooms. 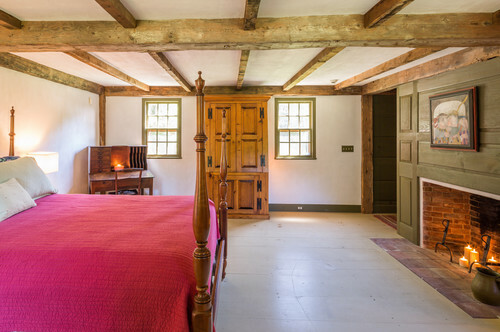 For a Colonial-era dwelling, the bedrooms are surprisingly spacious. The decor for the entire home was done by the homeowners using a combination of furnishings they already owned and antiques store and auction finds. Because the upstairs bathroom is quite sunny, it’s an ideal spot for houseplants. For privacy, decorative wood house cutouts line the windowsill. In addition to the claw-foot tub, there’s also a separate stand-up shower. I used to live in Boxford in a similar era home that was about to be torn down, which we saved. I would love to know the address where this house came from. I suspect it was on Valley Road and owned by a woman named Dorothy Woodbury? I recall they bought the land and the developer was going to tear down her old house; perhaps this is where it ended up? Hi Brenda — how cool! Kudos to you for rescuing that home. 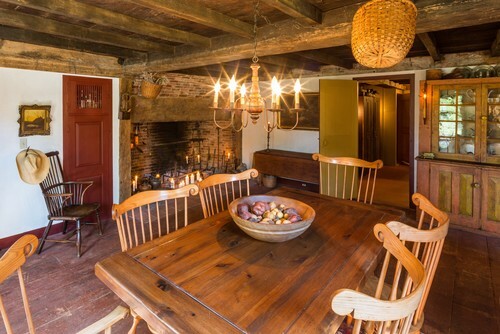 Re: your question, I would leave a comment for the writer here: https://www.houzz.com/ideabooks/79571418/list/houzz-tour-colonial-era-home-puts-down-new-roots-on-a-farm. Maybe she has an answer! Thank you so much for reading. Fascinating stuff. Reminds me of the Spite House in Rockport/Camden that was moved there generations ago. The Dodge family are wonderful, graceful stewards of this grand property, in my proverbial backyard (having grown up in Mid-Coast Maine). Would love to see this Cumberland wonderland sometime, when back in my native Maine, where I am still blessed to spend a good deal of time. Congratulations on a poetic job.